Ah, the luscious watermelon. Growing watermelons in the vegetable garden requires a fair bit of space, but they are worth it! No other product of the garden says “summer” like a drippy sweet slice of this amazing “fruit”. From the 25 lb. “Crimson Sweet” monsters to the spherical little “Sugar Baby”, there is a watermelon to fit every size garden. I’ve even seen people growing watermelons in whiskey barrel planters on the patio, with the vines trained to grow up a trellis on the fence, and the fruits supported by slings made from pantyhose legs. (Guys - you can also make slings out of old T-shirts). It seems that the watermelon originated in Africa. When African explorer David Livingstone discovered patches of the wild watermelons growing around a desert oasis, he dispelled the earlier belief that watermelons originated in Italy, which has no wild varieties. Whatever their origin, people have been growing watermelon since at least 2000 BC. Can’t you just picture the ancient Egyptians having a summer picnic on the Nile, with the kids competing to see how far they could spit watermelon seeds? Watermelon would also have made a great portable water source for adventures out into the desert. Watermelons need heat and sufficient water, but won’t tolerate soggy ground. For this reason some people grow them on mounds, but I think the wisdom of that depends on your climate. If you live in the rainy northwest, growing watermelons on a mound might be a good idea. But where I live in dry, hot Colorado, trying to grow watermelons on a mound is an exercise in trying to make water run uphill. A watermelons is, after all, 90% water, and a growing watermelon can really drink it up when it is developing. But watermelons also have long, deep taproots, so they can often still get water even when the surface is dry. For the sweetest watermelons, it’s best to keep them right on the edge of thirst after they start developing fruit. If you give them just enough water to keep them from wilting, your final melon will be sweeter than if you let it drink all it wants, which dilutes the sugars. 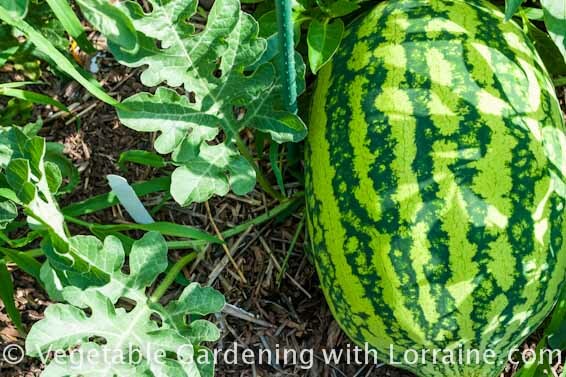 Watermelons are heavy feeders across-the-board, so they appreciate a well-balanced fertilizer, and/or tons of rich, diverse, homemade compost. 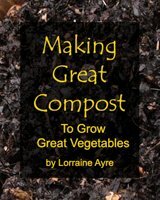 A bit of blood meal (nitrogen), bone meal (phosphorus) and greensand (potassium) at the time of planting should do the trick if you’re an organic gardener. Several companies now make good, balanced organic fertilizers that provide all three. If you’re using inorganic fertilizer, use a higher nitrogen fertilizer at the time of planting and side dress with a higher phosphorus/potassium fertilizer when they start to flower. If you have a good long growing season and you plant as soon as the soil is 70 degrees F, it is best to just direct seed watermelon in the ground. Because they are a tap-root plant, they do not like being transplanted. If starting watermelons from seed indoors, use at least 4” pots, and plant a couple of seeds in each pot about ½” deep. If they both germinate, clip off the smaller one at ground level and let the stronger one grow. Don’t pull the littler one out by the roots or it will damage the roots of the survivor. This may not seem like a big deal, but even a little root damage when they are small can set them back enough to delay harvest several days at the other end of the season. Some people like to use decomposable pots so they don’t disturb roots when planting out. In general I’m not fond of decomposable pots because they take so long to rot that they impede free root growth. I prefer to use empty toilet paper rolls filled with potting mix, because 1) they’re deep, allowing for taproot development and 2) when I go to transplant I can just peel the cardboard tube away. Squash bugs and cucumber beetles are the most common pests on watermelons. For the organic home gardener, the best control is hand-picking, or spraying with neem oil. Sometimes squirrels or other critters will decide to munch on your watermelons, and a good control for that is to cover the melon with a milk crate or laundry basket with a big rock on top. Watermelons, like all curcurbits, are particularly susceptible to powdery mildew. The best control is prevention, which means watering from below if possible with a drip hose or T-tape, and also making and spraying actively-aerated compost tea, an excellent, microbe-rich substance that can actually outcompete powdery mildew. If you have a particular pest or disease that you can't identify, I suggest taking a close-up photo with your phone or camera and emailing to your local state extension service office (if you live in the US). They can usually make a best-guess diagnosis and offer specific control suggestions. As watermelons start to form, you can protect them from rot or being attacked from below by laying a thick mulch of straw or even a piece of cardboard underneath them. How do you tell when a watermelon is ripe? When the underside, where it touches the ground, turns from white or cream-colored to true yellow. Also look for the stem drying and starting to die.